“And the Word was made flesh, and dwelled among us, (and we beheld His glory, the glory as of the only begotten of the Father,) full of grace and truth” (Jhn 1:14). “I am the way, the truth, and the life: no man comes to the Father, but by Me. If you had known Me, you should have known My Father also: and from now on you know Him, and have seen Him” (Jhn 14:6–7). When God had not become flesh, people did not understand much of what He said because it came out of complete divinity. The perspective and context of what He said was invisible and unreachable to mankind; it was expressed from a spiritual realm that people could not see. For people who lived in the flesh, they could not pass through the spiritual realm. But after God became flesh, He spoke to mankind from the perspective of humanity, and He came out of and surpassed the scope of the spiritual realm. He could express His divine disposition, will, and attitude, through things humans could imagine and things they saw and encountered in their lives, and using methods that humans could accept, in a language they could understand, and knowledge they could grasp, to allow mankind to understand and to know God, to comprehend His intention and His required standards within the scope of their capacity, to the degree that they were able. This was the method and principle of God’s work in humanity. Even though God’s ways and His principles of working in the flesh were mostly achieved by or through humanity, it truly did achieve results that could not be achieved by working directly in divinity. God’s work in humanity was more concrete, authentic, and targeted, the methods were much more flexible, and in form it surpassed the Age of Law. God enters upon a new stage of work in the last days. He will reveal even more of His disposition, and it will not be the compassion and love of the time of Jesus. Since He has new work in hand, this new work will be accompanied by a new disposition. So, if this work were done by the Spirit—if God did not become flesh, and instead the Spirit spoke directly through thunder so that man had no way to have contact with Him, would man be able to know His disposition? If it were solely the Spirit that did the work, then man would have no way of coming to know God’s disposition. People can only behold God’s disposition with their own eyes when He becomes flesh, when the Word appears in the flesh, and He expresses His entire disposition through the flesh. God really and truly lives among men. He is tangible; man can actually engage with His disposition, engage with what He has and is; only in this way can man truly come to know Him. God’s arrival in the flesh is primarily to enable people to see the real deeds of God, to materialize the formless Spirit in the flesh, and allow people to see and touch Him. In this way, those who are made complete by Him will live Him out, they will be gained by Him, and after His heart. If God only spoke in heaven, and did not actually come on earth, then people would still be incapable of knowing God, they would only be able to preach God’s deeds using empty theory, and would not have God’s words as reality. God has come on earth primarily to act as an exemplar and a model for those who are to be gained by God; only in this way can people actually know God, and touch God, and see Him, and only then can they truly be gained by God. Within the scope of the work that the Lord Jesus completed in the Age of Grace, you can see another aspect of what God has and is. It was expressed through His flesh, and it was made possible for people to see and appreciate through His humanity. In the Son of man, people saw how God in the flesh lived out His humanity, and they saw God’s divinity expressed through the flesh. These two types of expression allowed people to see a very real God, and allowed them to form a different concept of God. However, in the period of time between the creation of the world and the end of the Age of Law, that is, before the Age of Grace, what was seen, heard, and experienced by the people was only God’s divine aspect. It was what God did and said in an intangible realm, and the things that He expressed from His real person that could not be seen or touched. Often, these things made people feel that God was so great, and that they could not get close to Him. The impression God usually gave people was that He flickered in and out, and people even felt that every single one of His thoughts and ideas was so mysterious and so elusive that there was no way to reach them, much less even attempt to understand and appreciate them. For people, everything about God was very distant—so distant that people could not see it, could not touch it. It seemed He was up in the sky, and it seemed He didn’t exist at all. So for people, understanding God’s heart and mind or any of His thinking was unachievable, and even unreachable. … In the period of time that the Lord Jesus was working, people could see that God had many human expressions. For example, He could dance, He could attend weddings, He could commune with people, speak with them, and discuss things with them. In addition to that, the Lord Jesus also completed a lot of work that represented His divinity, and of course all of this work was an expression and a revealing of God’s disposition. During this time, when God’s divinity was realized in an ordinary flesh that people could see and touch, they no longer felt that He was flickering in and out, that they could not get close to Him. On the contrary, they could try to grasp the will of God or understand His divinity through the every movement, the words, and the work of the Son of man. The incarnate Son of man expressed God’s divinity through His humanity and conveyed the will of God to mankind. And through the expression of God’s will and disposition, He also revealed to people the God that cannot be seen or touched in the spiritual realm. What people saw was God Himself, tangible and with flesh and bones. So the incarnate Son of man made things such as God’s own identity, status, image, disposition, and what He has and is concrete and humanized. Even though the external appearance of the Son of man had some limitations regarding the image of God, His essence and what He has and is were entirely able to represent God’s own identity and status—there were merely some differences in the form of expression. No matter whether it’s the Son of man’s humanity or His divinity, we cannot deny that He represented God’s own identity and status. 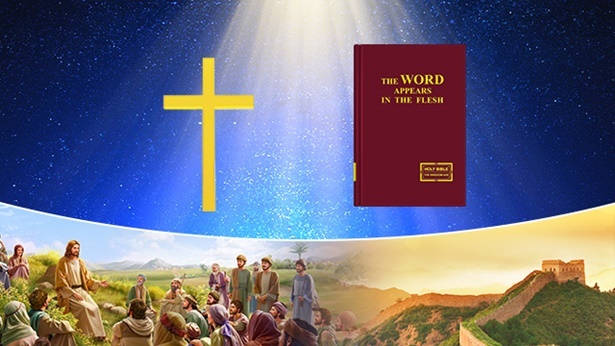 During this time, however, God worked through the flesh, spoke from the perspective of the flesh, and stood in front of mankind with the identity and status of the Son of man, and this gave people the opportunity to encounter and experience the true words and work of God among mankind. It also allowed people insight into His divinity and His greatness in the midst of humility, as well as to gain a preliminary understanding and a preliminary definition of the authenticity and the reality of God. God’s possessions and being, God’s essence, God’s disposition—all has been made known in His words to humankind. When he experiences God’s words, man will in the process of carrying them out come to understand the purpose behind the words God speaks, and to understand the wellspring and background of God’s words, and to understand and appreciate the intended effect of God’s words. For humanity, these are all things that man must experience, grasp, and access in order to access truth and life, grasp God’s intentions, become transformed in his disposition, and become able to obey God’s sovereignty and arrangements. At the same time that man experiences, grasps, and accesses these things, he will gradually have gained an understanding of God, and at this time he will also have gained different degrees of knowledge about Him. This understanding and knowledge does not come out of something man has imagined or composed, but rather from what he appreciates, experiences, feels, and corroborates within himself. Only after appreciating, experiencing, feeling, and corroborating these things does man’s knowledge of God acquire content, only the knowledge that he obtains at this time is actual, real, and accurate, and this process—of attaining genuine understanding and knowledge of God through appreciating, experiencing, feeling, and corroborating His words—is no other than true communion between man and God. In the midst of this kind of communion, man comes truly to understand and comprehend God’s intentions, comes truly to understand and know God’s possessions and being, comes truly to understand and know God’s essence, comes gradually to understand and know God’s disposition, arrives at real certainty about, and a correct definition of, the fact of God’s dominion over all creation, and gains a substantive bearing on and knowledge of God’s identity and position. During his time following Jesus, Peter had many opinions of Him and always judged Him from his own perspective. Although he had a certain degree of understanding of the Spirit, Peter was not very enlightened, hence his words when he said: “I must follow he who is sent by the heavenly Father. I must acknowledge he who is chosen by the Holy Spirit.” He did not understand the things Jesus did and received no enlightenment. After following Him for some time he grew interested in what He did and said, and in Jesus Himself. He came to feel that Jesus inspired both affection and respect; he liked to associate with Him and stay beside Him, and listening to Jesus’ words rendered him supply and help. Over the time he followed Jesus, Peter observed and took to heart everything about His life: His actions, words, movements, and expressions. He gained a deep understanding that Jesus was not like ordinary men. Although His human appearance was exceedingly ordinary, He was full of love, compassion, and tolerance for man. Everything He did or said was of great aid to others, and by His side Peter saw and learned things he had never seen or had before. He saw that although Jesus had neither a grand stature nor unusual humanity, He had a truly extraordinary and uncommon air about Him. Although Peter couldn’t fully explain it, he could see that Jesus acted different from everyone else, for He did things far different from that done by ordinary man. From his time in contact with Jesus, Peter also realized that His character was different from that of an ordinary man. He always acted steadily and never with haste, never exaggerated nor underplayed a subject, and conducted His life in a way that was both normal and admirable. In conversation, Jesus was elegant and graceful, open and cheerful yet serene, and never lost His dignity in the execution of His work. Peter saw that Jesus was sometimes taciturn, yet other times talked incessantly. He was sometimes so happy that He became agile and lively like a dove, and yet sometimes so sad that He did not talk at all, as if He were a weather-beaten mother. At times He was filled with anger, like a brave soldier charging off to kill enemies, and sometimes even like a roaring lion. Sometimes He laughed; other times He prayed and wept. No matter how Jesus acted, Peter grew to have boundless love and respect for Him. Jesus’ laughter filled him up with happiness, His sorrow plunged him into grief, His anger frightened him, while His mercy, forgiveness, and strictness made him come to truly love Jesus, developing a true reverence and longing for Him. Of course, Peter only gradually came to realize all of this once he had lived alongside Jesus for a few years. The loveliness of God is expressed in His work: Only when they experience His work can people discover His loveliness, only in their actual experiences can they appreciate the loveliness of God, and without observing it in real life, no one can discover God’s loveliness. There is so much to love about God, but without actually engaging with Him people are incapable of discovering it. Which is to say, if God did not become flesh, people would be incapable of actually engaging with Him, and if they were unable to actually engage with Him, they also wouldn’t be able to experience His work—and so their love of God would be tainted with much falsehood and imagination. The love of the God in heaven is not as real as the love of the God on earth, for people’s knowledge of God in heaven is built upon their imaginings, rather than upon what they have seen with their own eyes, and what they have personally experienced. When God comes to earth, people are able to behold His actual deeds and His loveliness, and they can see everything of His practical and normal disposition, all of which is thousands of times more real than the knowledge of the God in heaven. Regardless of how much people love the God in heaven, there is nothing real about this love, and it is full of human ideas. No matter how little their love for the God on earth, this love is real; even if there is only a little of it, it is still real. God causes people to know Him through real work, and through this knowledge He gains their love. It’s like Peter: If he hadn’t lived with Jesus, it would have been impossible for him to adore Jesus. So, too, was his loyalty toward Jesus built upon his engagement with Jesus. To make man love Him, God has come among man and lives together with man, and all that He makes man see and experience is the reality of God. If God had not become flesh to work and guide man face to face, if He did not interact with man and live with man all the time, then truly understanding God’s love would not be an easy thing to do. Man and God are fundamentally unlike and live in two different realms. Man is not able to understand God’s language, much less know the thoughts of God. Only God understands man, and it is impossible for man to understand God. Therefore, God has to become flesh and become of the same kind as man (appearing from the outside to be the same), enduring tremendous humiliation and pain to save mankind, so that they can understand and know the work of God. Why is God always saving man and never giving up? Is it not because of His love for man? He sees mankind being corrupted by Satan and He cannot bear to let go or give up. He therefore has a management plan. If it were as people imagined and He destroyed mankind as soon as He became angry, then there would be no need to suffer this way to save man. And it is precisely because of the pain suffered by His incarnation that His love is discovered by mankind little by little and comes to be known by all people. If God did not perform this kind of work now, people would only know that there is a God in heaven and that He has love for mankind. If that were the case, that would be only doctrine, and people would never be able to observe and experience God’s true love. Only by God doing His work in the flesh can people have a true understanding of Him. This understanding is not vague or empty, and neither is it a doctrine to which one merely pays lip service, but rather it is a very real understanding, because the love that God gives to man has substantive benefit. This work can only be done by His incarnation; the Spirit cannot perform the work in His place. For all of those who live in the flesh, changing their disposition requires goals to pursue, and knowing God requires witnessing the real deeds and the real face of God. 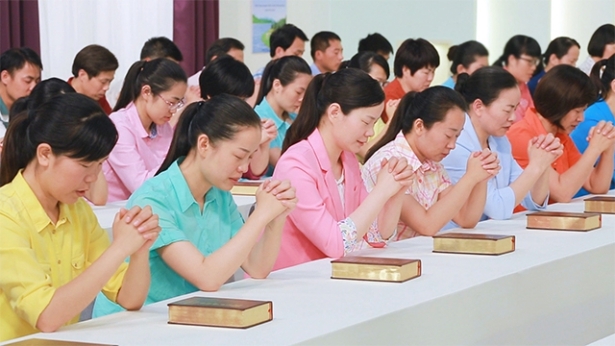 Both can only be achieved by God’s incarnate flesh, and both can only be accomplished by the normal and real flesh. This is why the incarnation is necessary, and why it is needed by all corrupt mankind. Since people are required to know God, the images of the vague and supernatural Gods must be dispelled from their hearts, and since they are required to cast off their corrupt disposition, they must first know their corrupt disposition. If only man does the work so as to dispel the images of the vague Gods from people’s hearts, then he will fail to achieve the proper effect. The images of the vague Gods in people’s hearts cannot be exposed, cast off, or completely expelled by words alone. In doing so, ultimately it would still not be possible to dispel these deep-rooted things from people. Only the practical God and the true image of God can replace these vague and supernatural things to allow people to gradually know them, and only in this way can the due effect be achieved. Man recognizes that the God whom he sought in times past is vague and supernatural. That which can achieve this effect is not the direct leadership of the Spirit, much less the teachings of a certain individual, but the incarnate God. The conceptions of man are laid bare when the incarnate God officially does His work, because the normality and reality of the incarnate God is the antithesis of the vague and supernatural God in man’s imagination. The original conceptions of man can only be revealed through their contrast to the incarnate God. Without the comparison to the incarnate God, the conceptions of man could not be revealed; in other words, without the contrast of reality the vague things could not be revealed. No one is capable of using words to do this work, and no one is capable of articulating this work using words. Only God Himself can do His own work, and no one else can do this work on His behalf. No matter how rich the language of man is, he is incapable of articulating the reality and normality of God. Man can only know God more practically, and can only see Him more clearly, if God personally works among man and completely shows forth His image and His being. This effect cannot be achieved by any fleshly man. Of course, God’s Spirit is also incapable of achieving this effect. … Therefore, corrupt mankind is more in need of the salvation of the incarnate God, and is more in need of the direct work of the incarnate God. Mankind needs the incarnate God to shepherd him, support him, water him, feed him, judge and chastise him, and he needs more grace and greater redemption from the incarnate God. Only God in the flesh can be the confidant of man, the shepherd of man, the very present help of man, and all of this is the necessity of incarnation today and in times past. Today you are able to worship this person, but in actuality you are worshiping the Spirit. This is the very least that should be achieved in people’s knowledge of God incarnate: knowing the substance of the Spirit through the flesh, knowing the Spirit’s divine work in the flesh and human work in the flesh, accepting all of the Spirit’s words and utterances in the flesh, and seeing how the Spirit of God directs the flesh and demonstrates His power in the flesh. Which is to say, man comes to know the Spirit in heaven through the flesh; the appearance of the practical God Himself among man has dispelled the vague God himself in people’s conceptions; people’s worship of the practical God Himself has increased their obedience to God; and through the Spirit of God’s divine work in the flesh, and human work in the flesh, man receives revelation and shepherding, and changes are achieved in his life disposition. Only this is the actual meaning of the Spirit’s arrival in the flesh, and it is primarily so that people may engage with God, rely on God, and attain the knowledge of God. The group of people that God incarnate wants to gain today is those who conform to His will. People need only obey His work, not always concern themselves with the ideas of God in heaven, live within vagueness, or make things difficult for God in the flesh. Those who are able to obey Him are those who absolutely listen to His words and obey His arrangements. 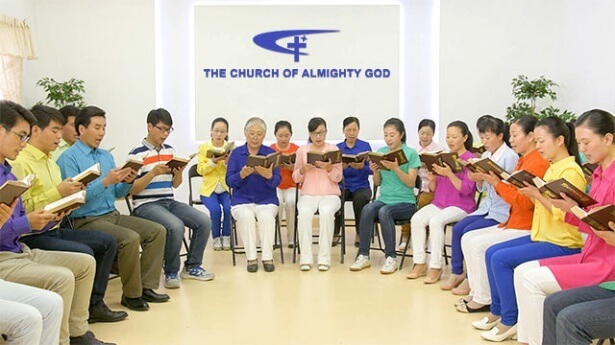 These people pay no mind at all to what God in heaven is really like or what kind of work God in heaven is currently doing in mankind, but they fully give their hearts to God on earth and they place their entire beings in front of Him. They never consider their own safety, and they never make a fuss over the normalcy and practicality of God in the flesh. Those who obey God in the flesh can be perfected by Him. Those who believe in God in heaven will gain nothing. This is because it is not God in heaven, but it is God on earth that bestows the promises and blessings upon people. People should not always magnify God in heaven and see God on earth as an average person. This is unfair. God in heaven is great and wonderful with marvelous wisdom, but He cannot be seen by human beings. The God in heaven that people imagine simply does not exist. God on earth is very average and insignificant; He is also very normal. He does not have an extraordinary mind or earth-shattering acts. He just works and speaks in a very normal and practical way. While He does not speak through thunder or summon the wind and the rain, He truly is the incarnation of God in heaven, and He truly is the God living amongst humans. People must not magnify the one that they are able to understand and that corresponds to their own imaginations as God, or see the One they cannot accept and absolutely cannot imagine as lowly. All of this is people’s rebelliousness; it is all the source of mankind’s resistance to God. Previous : How does God incarnating to do the work of judgment bring an end to the age of mankind’s belief in the vague God and the dark age of Satan’s domain?